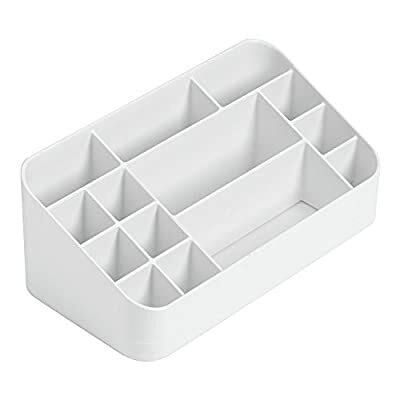 IMPORTANT: 6.75″DIAMETER x 6.75″HIGH , ships folded. 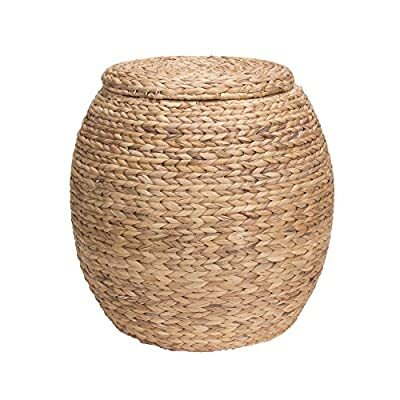 LIMITED TIME OFFER PRICE MAY INCREASE SOON. 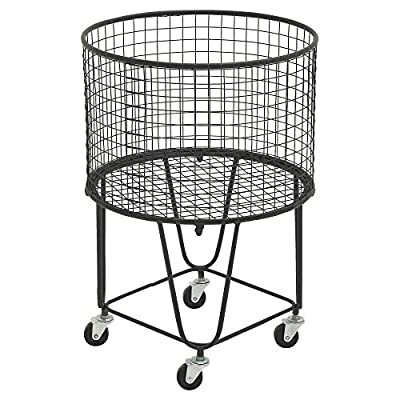 PERFECT OPENING DESIGN: The opening of this basket is made of tough rectangular iron frame, making the storage container gorgeous looking and easy to use. 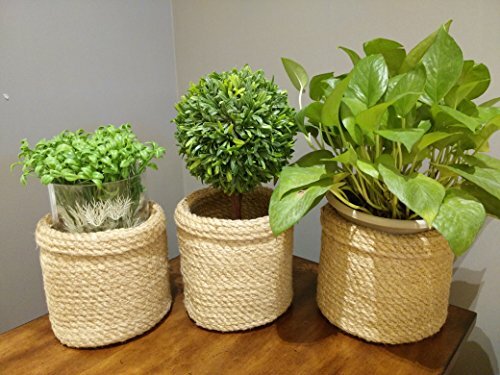 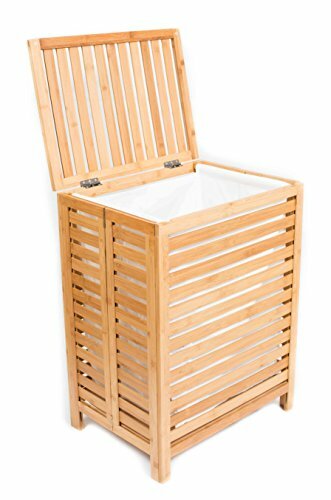 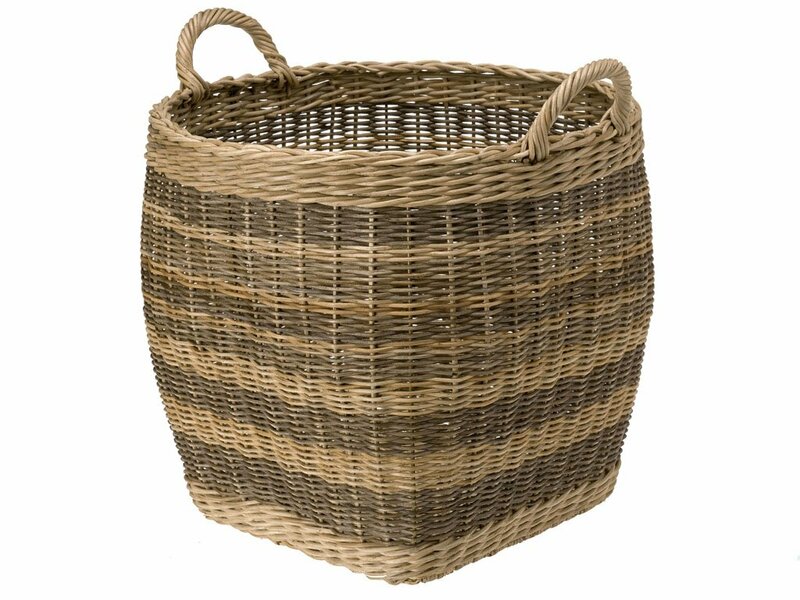 ENHANCED WEIGHT CAPACITY: These high quality storage baskets are made of specially processed linen-like materials, very thick and sturdy. 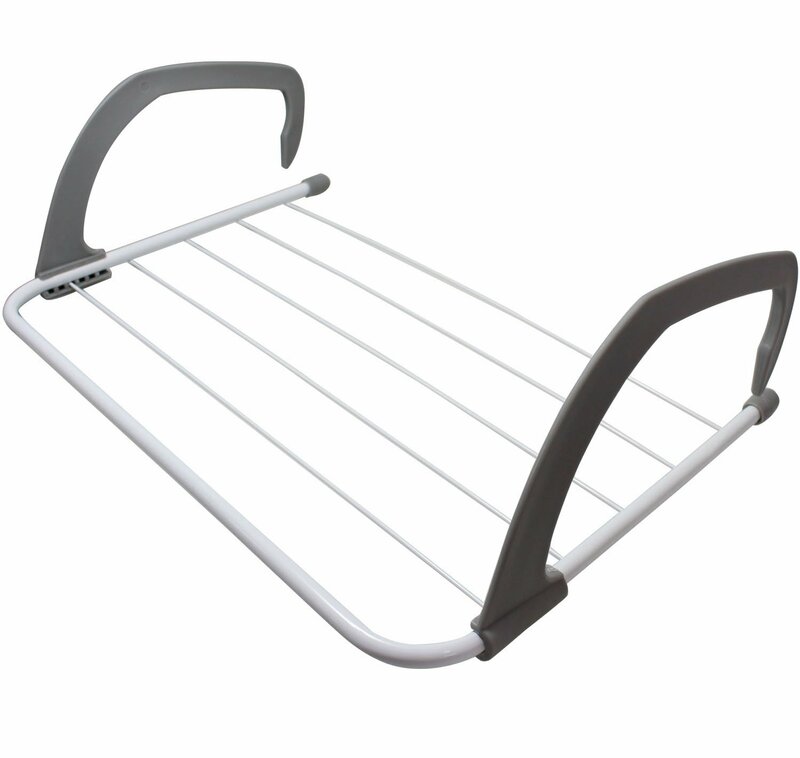 Together with nicely made handles and iron frames in the openings, they can hold heavy load up to 25 lbs. 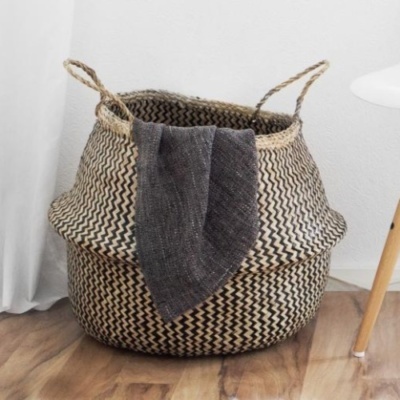 FASHIONABLE STYLE: With beautiful linen-like materials following globally trendy colors of fashion and furniture, the wonderful storage basket perfectly fits in your room layout and household decors. 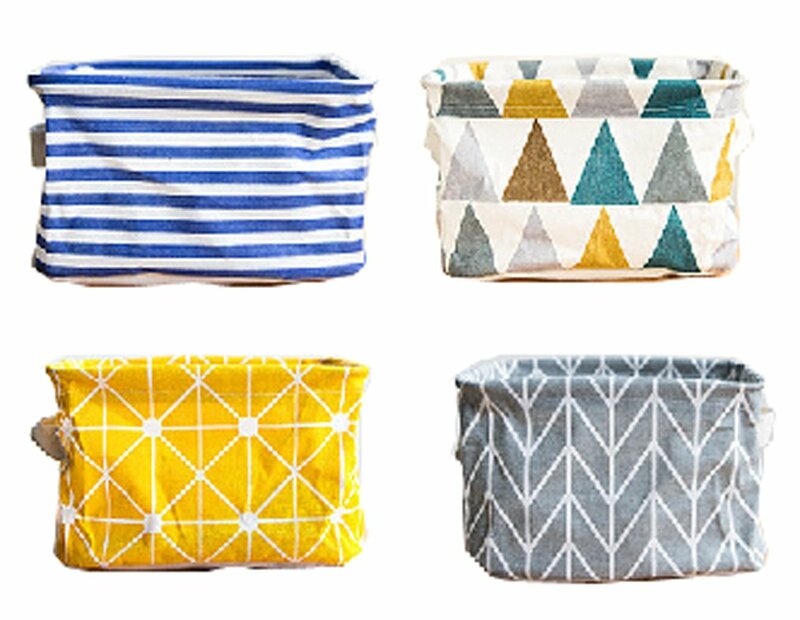 The linen-like lining is also comfortable and durable. 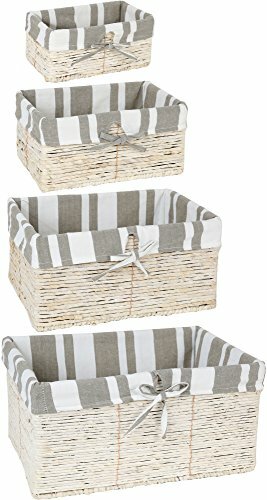 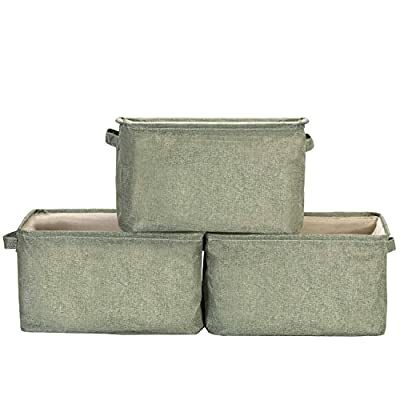 Size(L*W*H): 4 x Canvas Storage Baskets per pack,evey fabric bin baskets is 8″x6″x5.5″ . 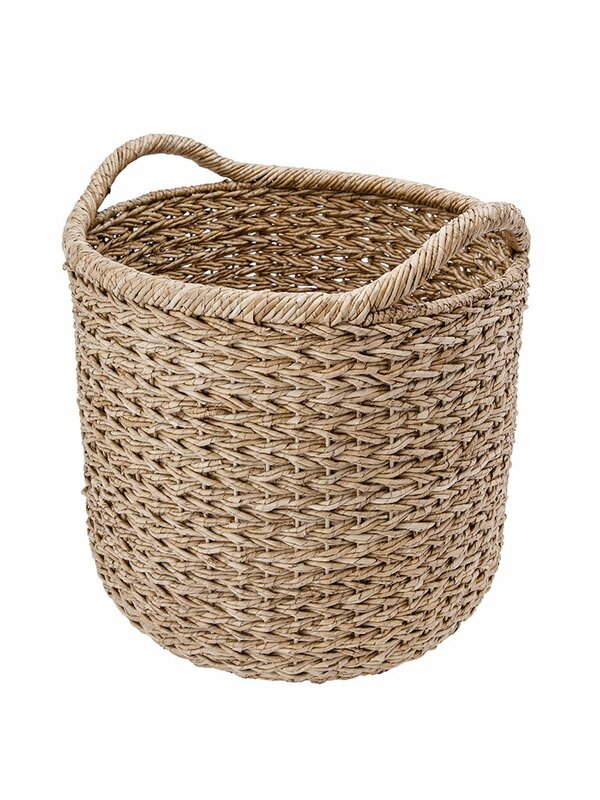 Save Space: Storage Baskets are collapsible for easy storage.Wire-framed for stability.Lightweight and compact in size. 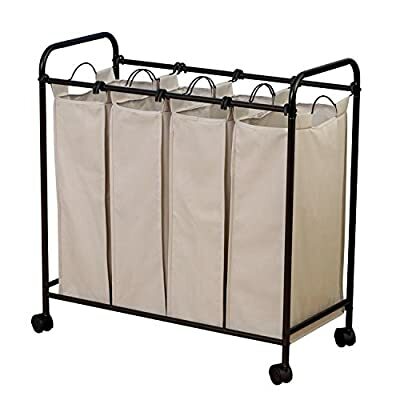 COMPACT FOLDS THIN UNDER 4 INCH easy to store convenient to move and save more space. 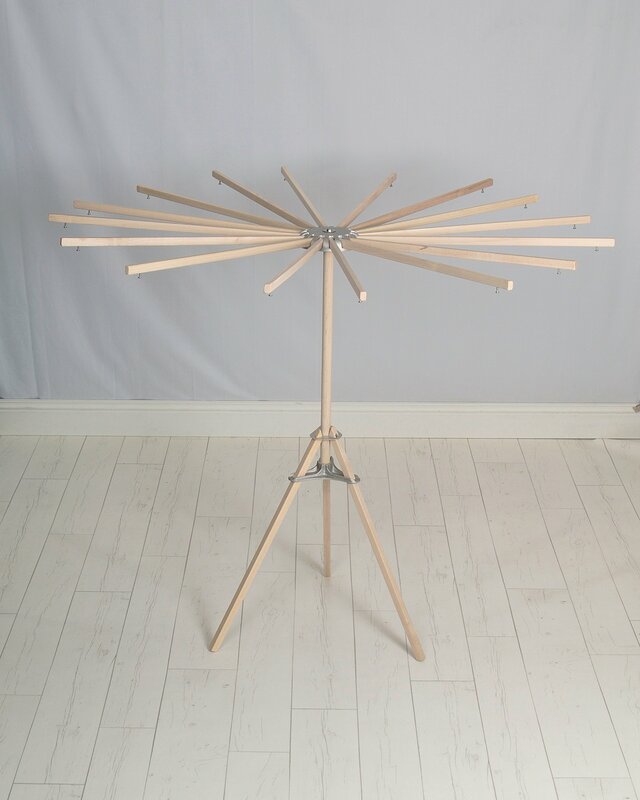 Heavy-Duty Hardwood: Why settle for spindly plywood? 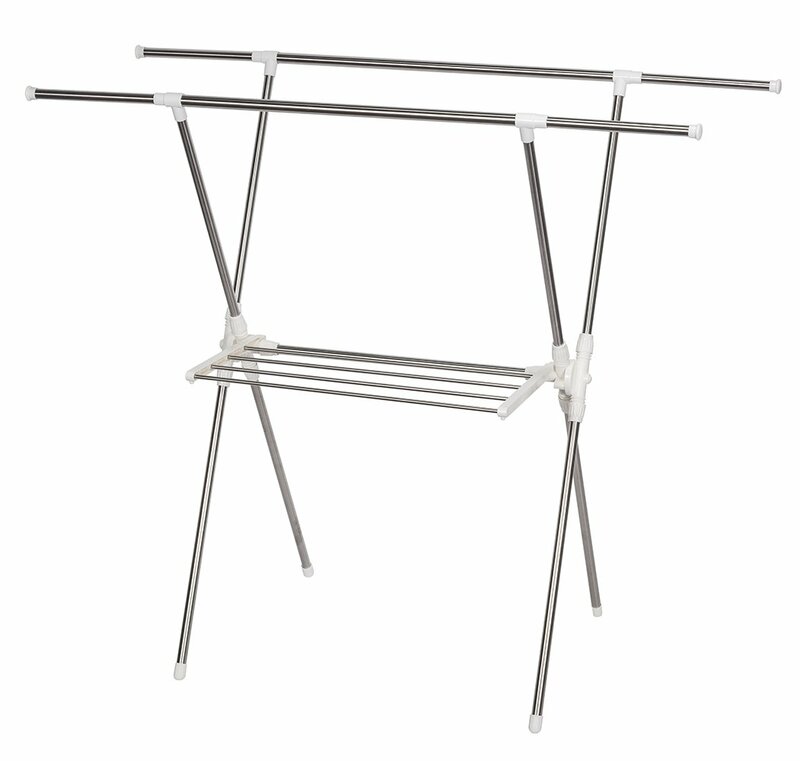 Our drying rack comes in rock-solid maple, famous for durability. 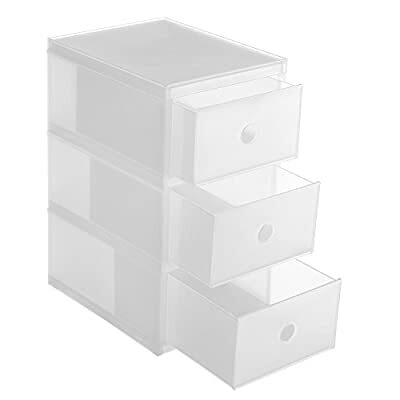 Plus, it’s fastened with 3/4 x 1/2-inch dowels for wobble-free stability. 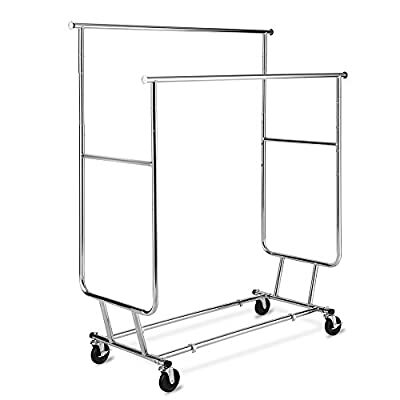 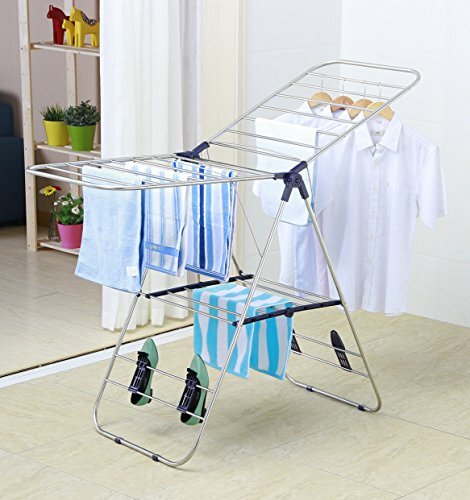 Holds More Laundry: At 54″ (diameter) x 42 ½” (height) The Floor Standing Rack offers over 32 feet of drying space. 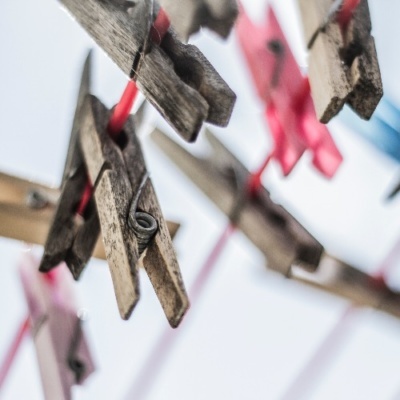 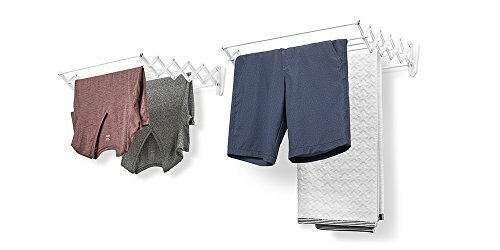 Smooth-grained so it’s safe for delicates, it hangs everything from blouses to bedspreads & much more. 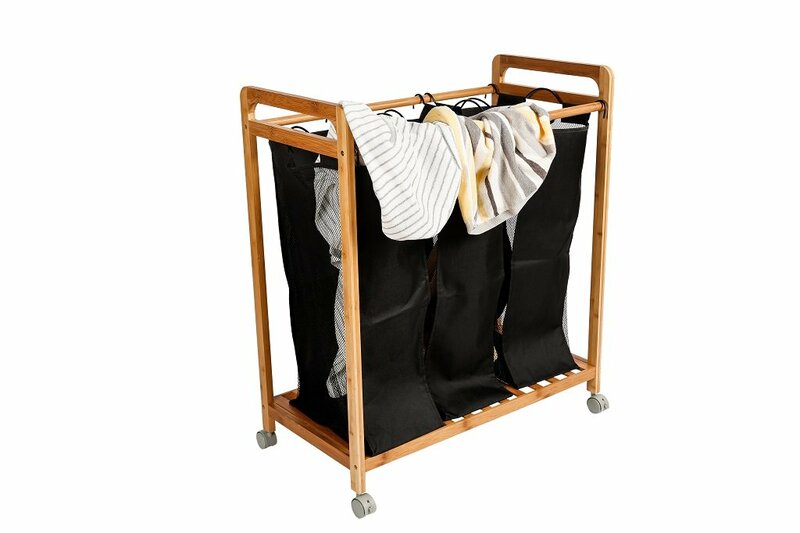 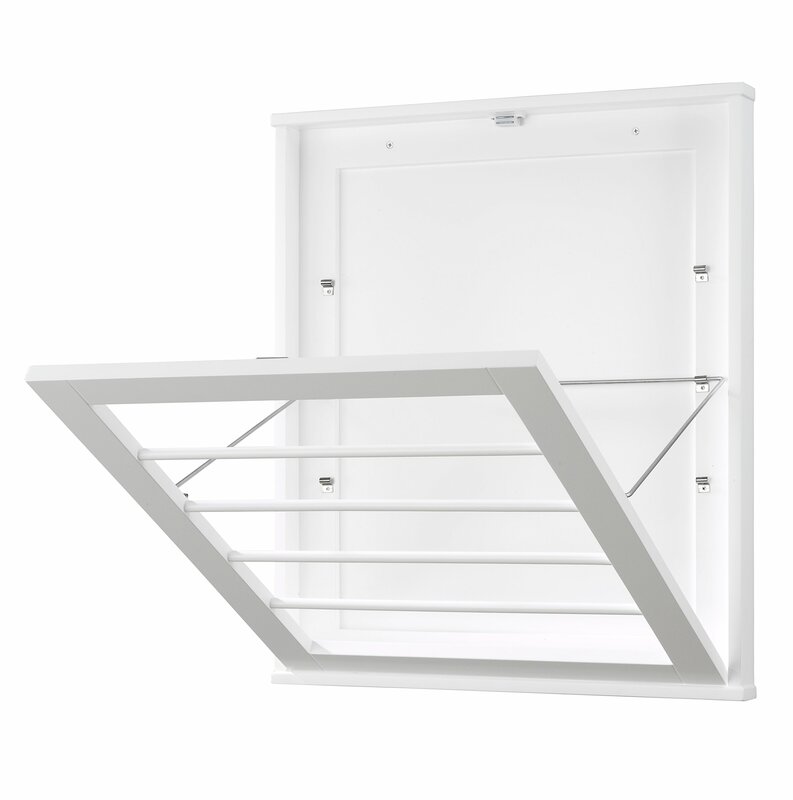 Collapses for Compact Storage: Though it’s big when expanded, this portable rack folds down to just 27″ x 6 ½” – so you can easily store it in any room, closet, or laundry room. 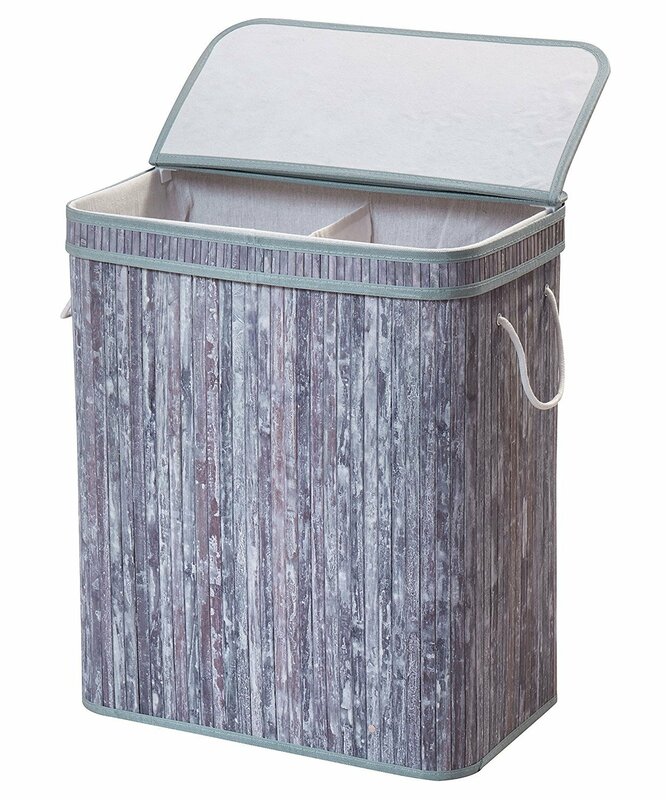 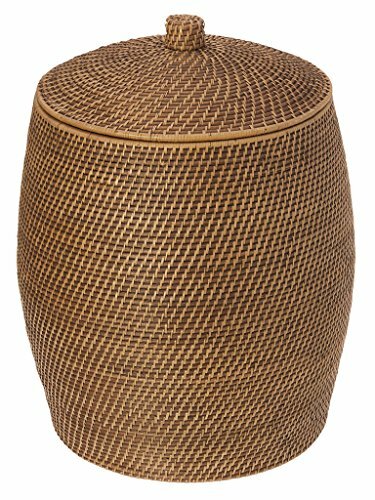 DIVIDED INTERIOR SEPARATES LIGHTS AND DARKS: Do away with multiple laundry baskets with this dual interior water hyacinth laundry hamper. 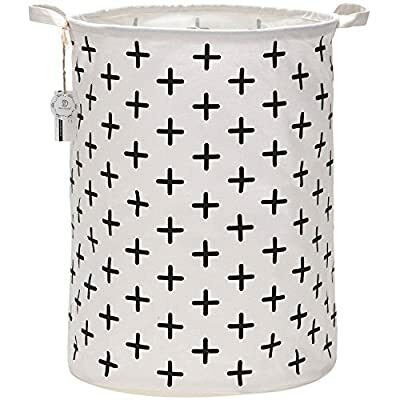 Open up the sturdy lid to find two separate hanging cotton bags that can hold lights and darks, his and hers, or any other combination you can think of! 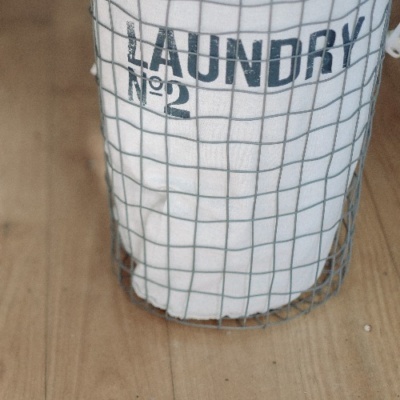 CARRYABLE COTTON BAGS MAKE LAUNDRY EASY: Now there’s no need to lug a bulky laundry basket from the bedroom to the laundry room. 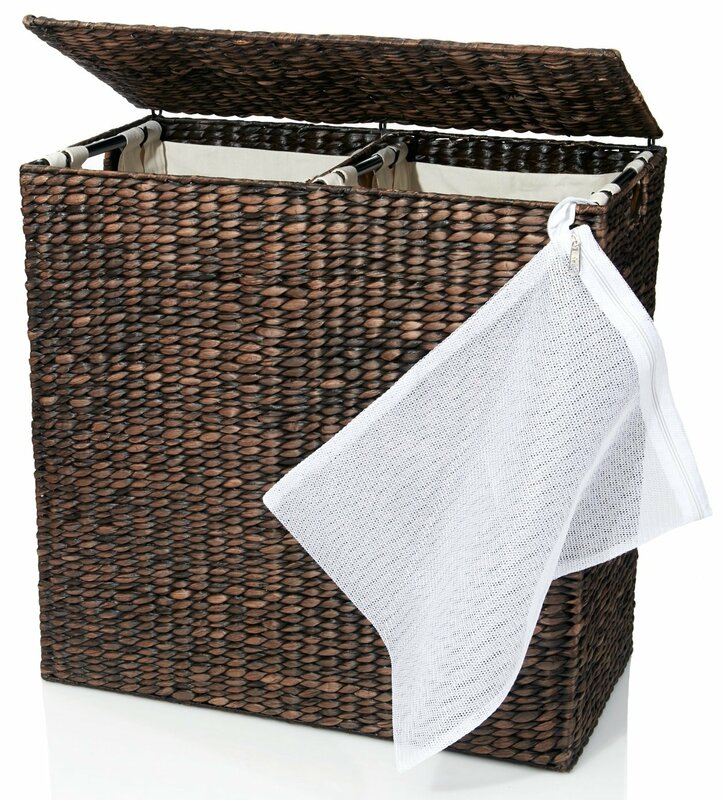 Simply remove the two individual canvas liner bags (which are washable by the way) that hang from sturdy hooks inside the laundry hamper. 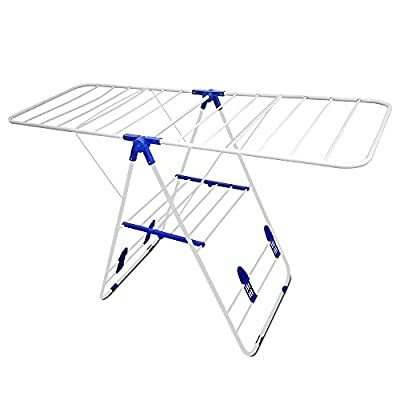 The carrying poles make them easy to lift out of the basket and transport to the washing machine. 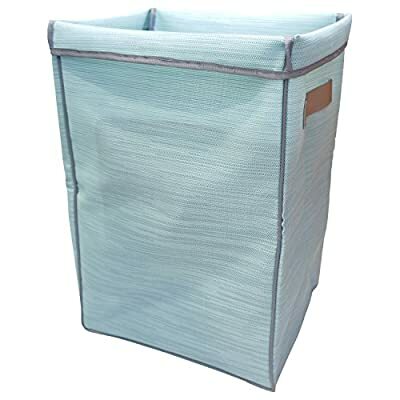 This portable laundry hamper and sorter features four washable polyester bags and easy-rolling casters. 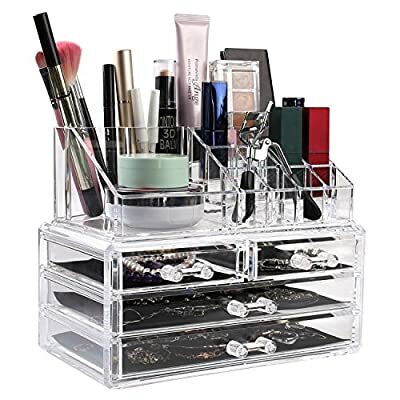 ACRYLIC COSMETIC & MAKEUP STORAGE CASE:Drawers for hair clips and blushers, grid on the top for nail polish, lipsticks, etc,perfectly organize all your makeup and cosmetics into a dazzling personalized beauty counter. 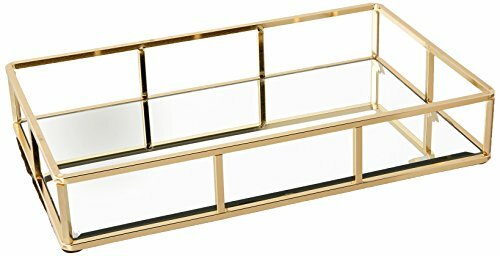 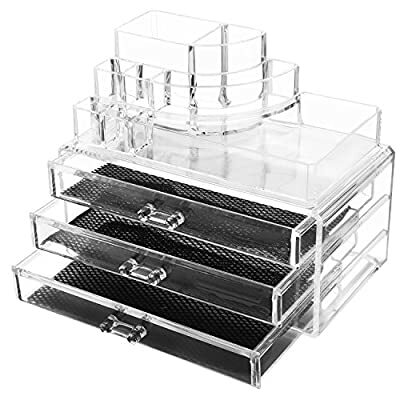 HIGH QUALITY MATERIAL:This Acrylic Makeup Organizer is made from strong high grade molded acrylic, slide out smoothly ,built to withstand frequent daily use. 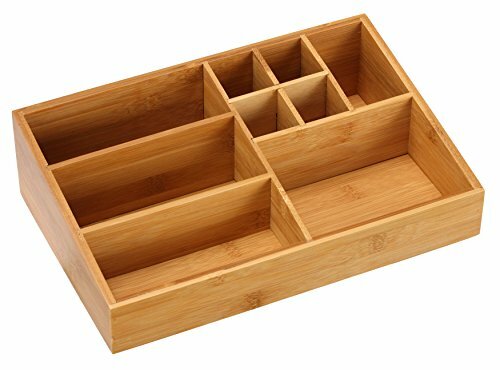 4 DRAWERS: This makeup organizer case features 4 drawers for you to separate and properly organize all of your belongings. 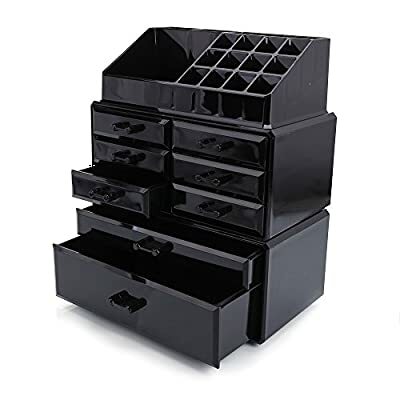 For extra convenience, each of the drawers has a special soft black mesh padding, which is especially great for keeping your jewelry in place so that chains and the like do not get tangled. 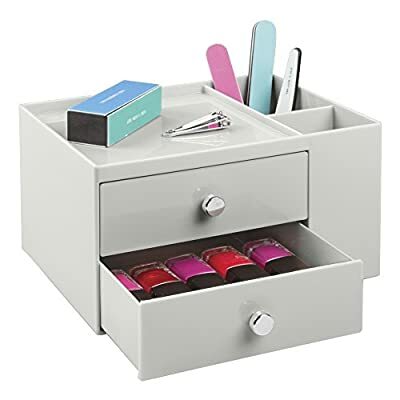 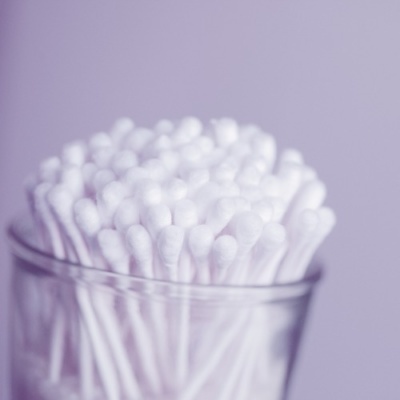 ✔Use mild soap and warm water, easy to clean Cosmetics Makeup Storage Cases are easy to clean and won’t discolor over time.